Have you ever had so many eggs on keto that you never wanted to eat, see, or smell another egg ever again? Well I have. Especially if I am aiming for a nearly no carb day and I’ve been doing my fair share of eggs. So how do I continue to stay the course and not get burned out on the incredible, mostly edible egg? 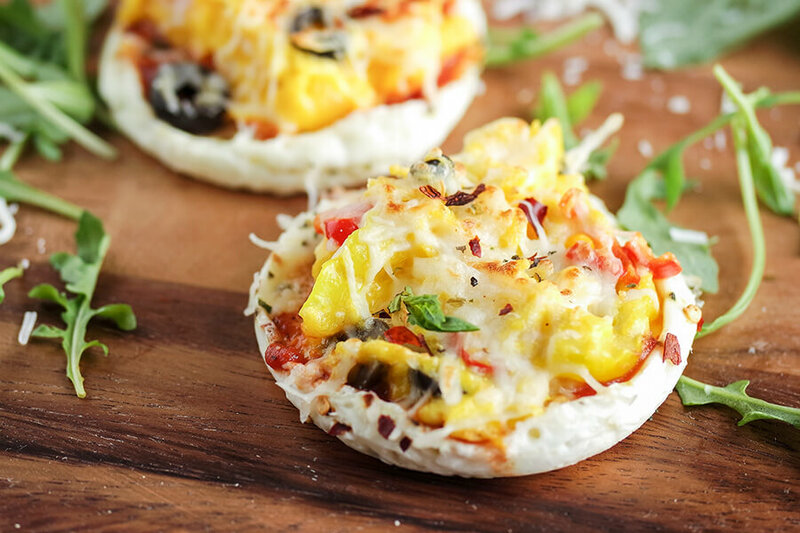 Pizza eggs, of course! I so badly wanted to put an exclamation point at the end of this recipe title because these little egg pizzas are that good! 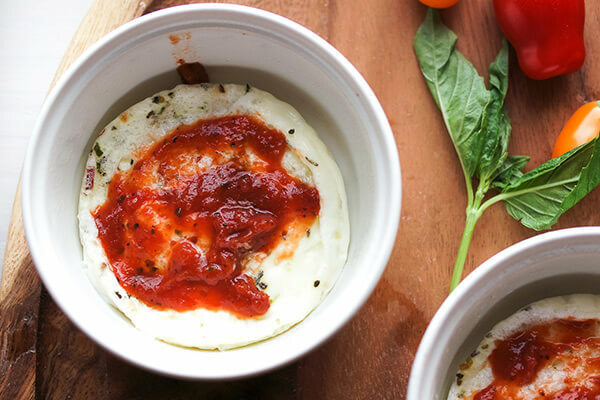 The base consists of some Italian herb seasoning mixed with mozzarella cheese and the whites of the eggs. The topping is made up of a thin layer of marinara sauce, followed by the yolk of the egg lightly scrambled with your favorite miniature pizza toppings! I have always been a black olive and mild pepper gal but you could use whatever toppings you like, chopped into small bits. 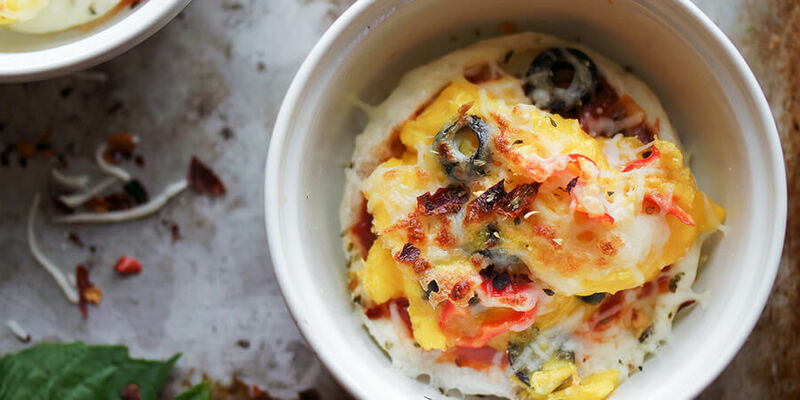 Add more mozzarella and bake for a fun twist on your normal egg breakfast! You can certainly make this in the oven if you want to double or triple the recipe for multiple people or you can make these in microwave safe dishes for something a bit quicker. The execution below uses a microwave to heat the egg base and the broiler setting on my oven to melt the cheese. 1. 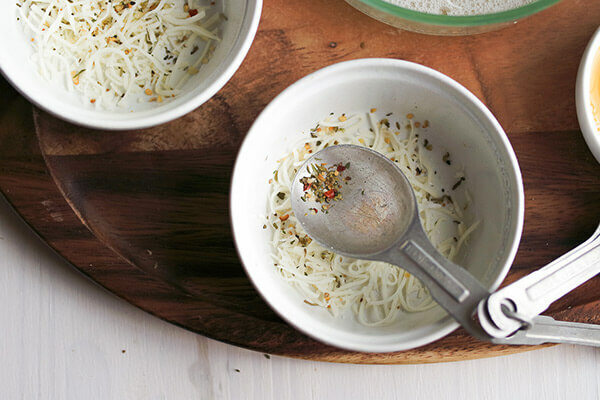 Sprinkle 1 tablespoon shredded mozzarella cheese and the Italian herb seasoning into each microwave or oven safe dish. 2. Beat the egg whites gently just to make them easier to work with. Be careful not to beat them too long or they will become too frothy. 3. 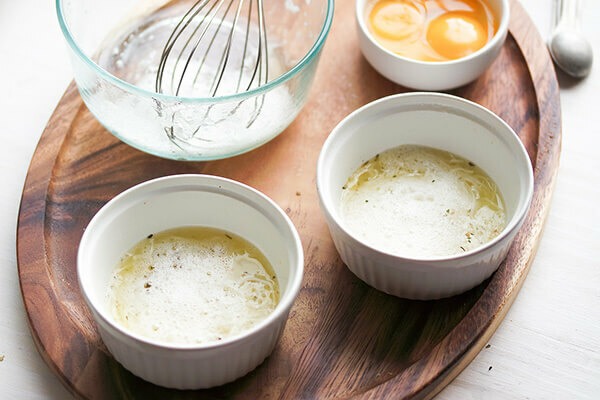 Pour the whipped egg whites into each container equally and microwave for 1 ½ to 2 minutes or until the whites are fully cooked. 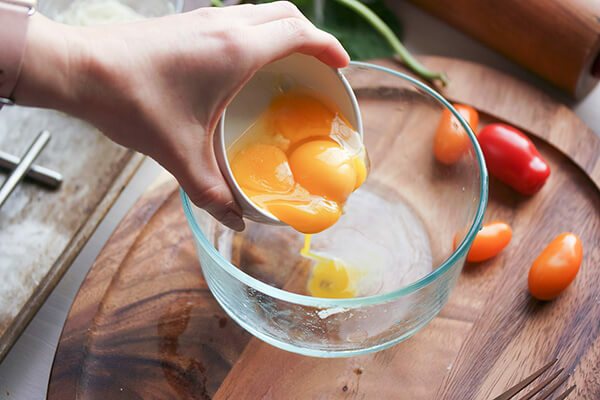 Allow to cool while you mix the yolks. 4. 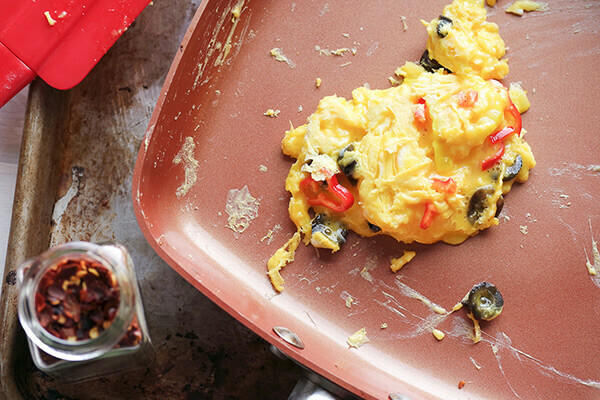 Beat the egg yolk and lightly scramble. 5. Fold the pizza toppings into the yolk and remove from heat. 6. Top the pizza bases with ½ tablespoon tomato sauce each. 7. 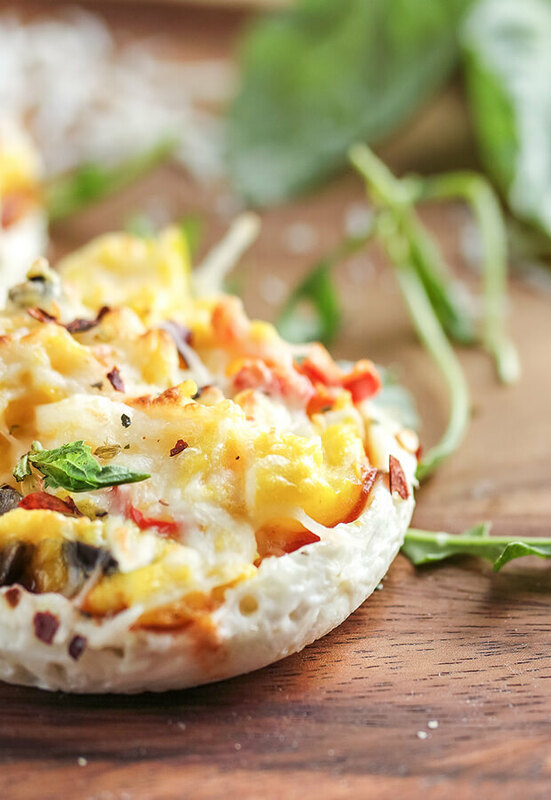 Add scrambled egg yolk and the remaining mozzarella cheese and heat for 20 seconds in the microwave or broil in your oven until the cheese is melted and bubbly. Serve hot! This makes a total of 1 serving of 2 Mini Pizza Egg Bakes. Each serving comes out to be 333 Calories, 22.66g Fat, 4.28g Net Carbs, and 25.59g Protein. 3. 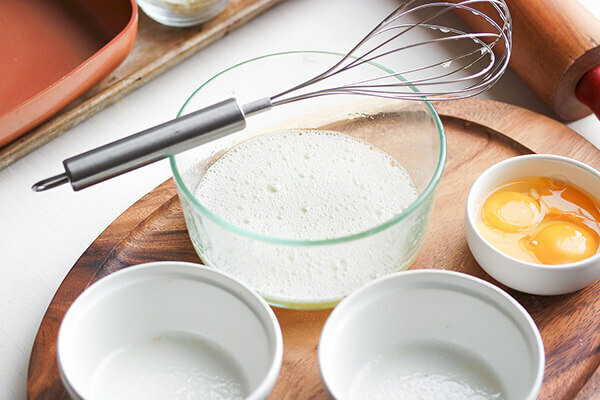 Pour the whipped egg whites into each container equally and microwave for 1 ½ to 2 minutes or until the whites are fully cooked. Allow to cool while you scrabble the yolks.